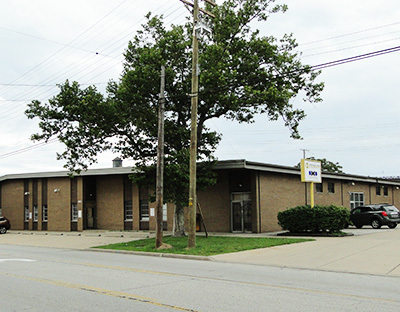 Commercial Electric Products Corporation has moved it’s corporate headquarters housing three of its six business units to 1821 E40th Street, just 10 blocks east of the former headquarters at 1738 E30th Street. This marks the fourth move in company history and 45 years at the previous location. The business had simply outgrown the 14,500 sq ft space and had been leasing an additional 11,000 sq ft of warehouse space a few blocks away as a temporary supplement. The newly remodeled 32,000 sq ft facility offers the business the space and efficiency needed to support our strategic plan for growth. Some of the highlights include state of the art conference and training rooms with kitchen and dining facilities for hosting events, a city counter for walk in sales, a large consolidated engineering lab, a dedicated value add assembly room, multiple docks and drive in bays, and the warehouse and manufacturing space needed to accommodate a larger business under one roof. Every aspect of the new facility is an upgrade, and we welcome our customers and business partners to drop by for a tour! Administrative offices, Distributor Division, Custom Connector, Telephone Equipment. Wiring Division, Motor Repair Division, Tubewinder Belts.